Not quite. But she's getting close! VERY scary. 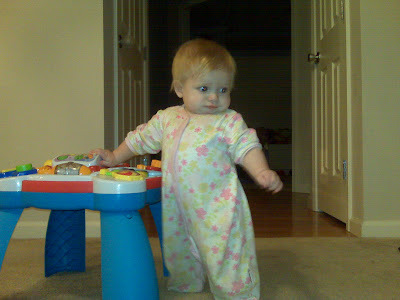 Addi walked at the exact same age as Sam (9 months).